Be sure also that the NVR input/output settings make sense considering the IP device specification. In the NVR Control Center — Cameras select camera to configure from the Cameras List. In the Cameras Settings enter the number of connected inputs in the Alarm Inputs field. Switch to the Alarm Inputs bottom tab — the Input Number drop-down list will automatically be populated with the number of inputs defined. Select Input Number from the list to configure the device connected to this input. Select a Normal Status radio button — Open or Closed — indicating whether the input is connected as normally open or normally closed. If you are not sure, click the Check Current Status to query the status of the input port. If, for instance, the status returns as Open, and the device is not in the alarm state, then the normal status should be set to Open. Repeat steps 4-7 to configure all external devices connected to the camera or video server input ports. Be sure that the NVR input settings make sense considering the IP device specification. Check the documentation of the camera or video server for information on which ports on the terminal block are associated with which inputs. IP-device outputs can be configured with toggle and/or momentary behavior. With toggle behavior, the state is simply switched indefinitely (i.e. unlock door strike, lock door strike). With momentary behavior, the output is set to the non-normal state for a period of time before being returned to the normal state (i.e. unlock door strike for 3 seconds; then return to locked). If both options are configured, either action can be taken by the operator or task — each will have their own action button in the DETEXI Client. 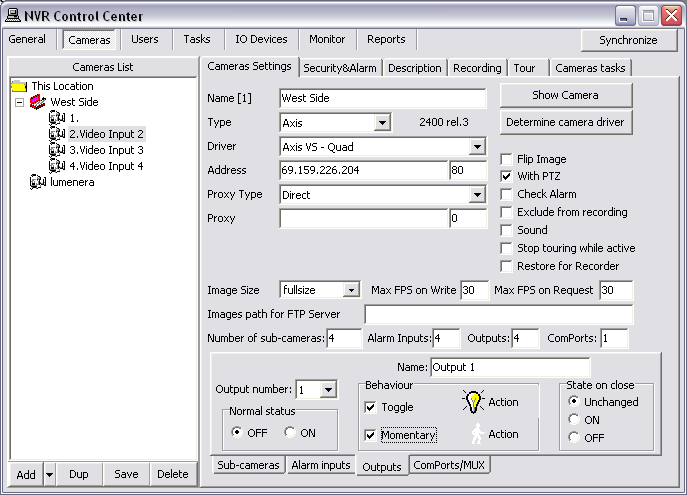 In the Cameras Settings enter the number of connected outputs in the Outputs field. Switch to the Outputs bottom tab — the Output Number drop-down list will automatically be populated with the number of outputs defined. Select Output Number from the list to configure the device connected to this output. Select a Normal Status radio button — OFF or ON indicating whether the output is connected as normally OFF or normally ON. To select a relay type under the Behavior check the Toggle and/or Momentary checkbox. The selected relay type Action button activates. Similar relay Action buttons will be available on the DETEXI Client’s camera live view allowing for external devices (relays) to be triggered. To customize a relay Action button click on it to launch the Relay Types dialog. The default off-delay for momentary behavior is 3 seconds. Under the State on Close check proper checkbox — Unchanged , ON or OFF. For instance, if the device is a door strike that should always stay locked, the state on close OFF may be desired to prevent from accidentally leaving the door open. Repeat steps 4-8 to configure all external devices connected to the camera or video server output ports. Be sure that the NVR output settings make sense considering the IP device specification. Check the documentation of the camera or video server for information on which ports on the terminal block are associated with which output numbers. Customized relay action buttons are important for systems using many different types of external devices connected to cameras and/or video servers outputs: door strikes may work best with 8 second activation, where alarm sounding devices (horns or bells for instance) should be activated for only 3 seconds perhaps. 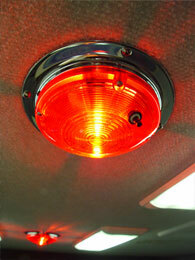 Customized relay action buttons allow also for intuitive control for users. In the Relay Types click the Add button to add a new relay action button. Click Load buttons to download images for the normal and down positions of the button. Images must be either 24 x 24 px BITMAP files (24-bit) or 16 x 16 px ICO files. A few icons of this type are available on the installation CD in the Utilities/NVR Output Icons directory. Check the Transparent checkbox to convert BITMAP image to have a transparent background. Top-left pixel color is considered as a background. 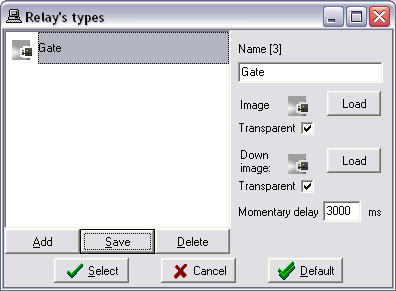 For momentary relay types, define a custom momentary delay (ms) before the output is turned back off. Click Save button to save a new relay action button. Select a relay action button for use from the list and click Select button. Click Cancel button to return without changes. Click Default button to return to default settings. After an IP device outputs were defined in the NVR Control Center — Cameras — Cameras Settings they are ready for use in tasks triggered by alarms/events, or manually by operators in the DETEXI Client. Relay Action buttons will be available on the DETEXI Client’s camera live view allowing for external devices (relays) to be triggered. The momentary relay only has been enabled for the output — only one relay action button is visible. 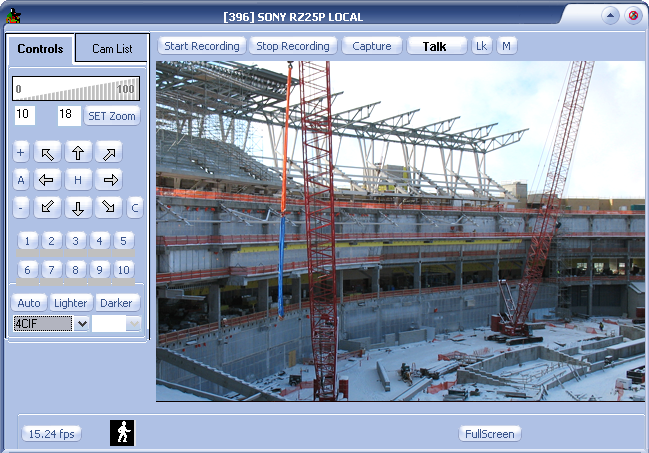 If multiple outputs are connected to and configured on the camera, a drop-down list to choose the output number from will be available. When an output number is chosen, the configured control buttons will be displayed for use.